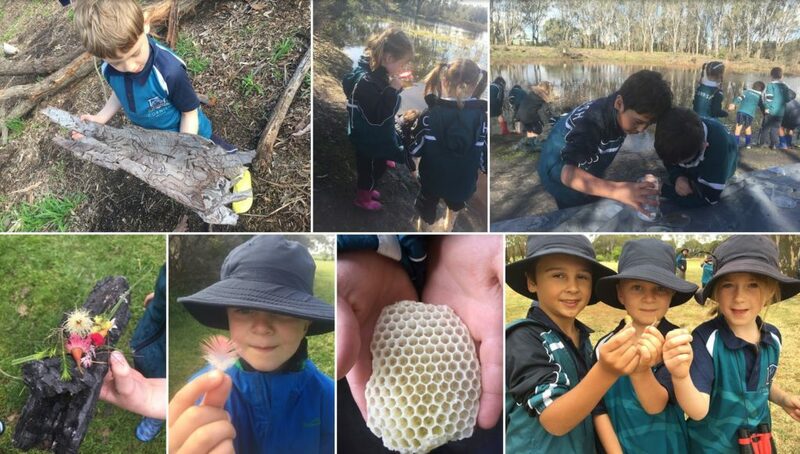 This article encourages the use of nature in authentic inquiry and promotes the hope that every class can spend time outside. How can authentic inquiry learning occur? Simple. Take your class out into nature. Children have a natural fascination with their environment and it is this interest and desire to understand how their world works which enables them to independently pose a range of rich, authentic questions that cover a wide range of subject areas, concepts and skills. This student initiated inquiry will make you question the need for an indoor classroom at all. The indigenous, traditional owners of the land on which our school is built are the Boon wurrung people. The Boon wurrung, like all indigenous Australians, recognize the importance of educating their children on ‘country’. Their lessons do not take place within four walls but out in the environment where their children form strong connections to their land while developing life skills that allow them to live a successful, productive life and act as guardians for their country. Dhumba-dha biik (pronounced Dum-bar-dar-bick) is Boon wurrung language for Talk Country and it is the name of our weekly year one outdoor program at Cornish College. Each week we spend extended periods of time outside learning with nature. The program allows the children time to explore, play and learn on our 100 acre property. In the process, the children develop their communication, independence, curiosity, resilience, thinking, risk taking, imagination, reflection, co-ordination, observation, perseverance, questioning and self-management skills. At the start of each year I am always amazed at how little the students actually know about their own land. Most of them believe that koalas live in holes in the ground and that crocodiles and sharks swim in our drainage ditches. While they know a great deal about exotic species in faraway lands, they know very little about the flora and fauna in their own backyard. Because they are not connected to their land they do not know to care about it. This detachment leads to ambivalence. As the year progresses, and we spend more time on our land, the children naturally get to know their country. They delight in identifying indigenous plant species and their uses. They confidently begin to identify native and introduced animals. As the year progresses, they become experts at interpreting the weather patterns and dressing themselves accordingly. They know when snake season starts and ends and what areas of the property are no longer safe. The students update and enforce our benefit/risk assessment depending on what we discover or how the conditions change. They experience a range of weather conditions and revel in the joy of being allowed to get soaking wet. They construct rafts, dens, nests and ephemeral works of art with natural objects. They hunt for such prized treasures as elusive rainbow lorikeet feathers or wait patiently to catch a glimpse of the cygnets and swamp hen chicks. The children are explorers, philosophers, entomologists, physicists, biologists, ornithologists, builders, mathematicians, geographers, negotiators, poets, actors, collaborators and problem solvers. They know both their land and the creatures that inhabit it. This strong relationship leads to respect and a desire to fiercely protect their land, their ‘country’. They are now connected. While we could have learned all about the local plants and animals by reading books, watching videos and listening to adults within the confines of the classroom walls, we would not have formed a strong connection to it. It is this strong connection that results in an on-going relationship with the land and naturally on to meaningful and authentic inquiry and student led actions. Samantha Millar is a year 1 PYP classroom teacher at Cornish College in Australia. 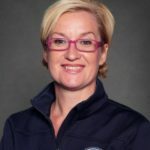 She is passionate about getting children outside and connecting them to their land and country. You can follow her on Twitter @mrs_sammillar. Amazing work! Well done!. We should to do more outdoor learning here. Especially because our school has amazing premises too. Is it more about student initiated inquiries that arise there or do you have to comply with Ministry content and you direct the inquiry a bit more that way? We generally have a loose plan on what we want to focus on when we go out – this could be our current unit of inquiry, a literacy or a numeracy focus OR it could be something that the children were interested in the previous week. For example we recently planned to do a numeracy session and on our way out we discovered mushrooms/toadstools emerging from the ground and the kids were just fascinated with them. So we spent time discussing fungus and hunting for different kinds. I call this an “unexpected inquiry” and I love it because it is these student discoveries that are the best authentic learning opportunities. We are a PYP school but we also have to meet the Victorian Curriculum so during that session (and subsequent ones where they continued to discover and explore fungus) we covered the Victorian Curriculum in the areas of Science, English-Speaking & Listening, Critical & Creative Thinking and Geography. When we reflect after each session we find that we have covered masses of both the PYP and Victorian Curriculum without having to guide or direct the children at all – which is awesome! I would encourage you to give it a go! Awesome, i can see that the kids are fully engaged and think critically. Great work Sam! We are so lucky to have you. I loved reading your piece as I could just imaging how happy and excited the kids must have been. I also love the idea of outdoor learning and witnessed that the children who have confidence issues can really change and start taking on more leading roles once they are outside. Overall the kids are happy they are safe so learning happens at a faster rate. Thank you for sharing and inspiring us all.